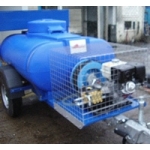 Morclean produce bespoke and specially built units for various applications. 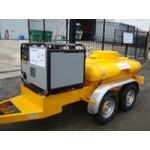 These are examples of previous projects and case studies, trailer and bowsers can be built from 500 Ltrs to 5000 Ltrs and with numerous options of hot or cold pressure washers and jetters. 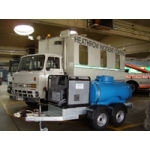 These self contained mobile machines therefore have their own water supply and can be used anywhere, the below examples include jetters for airports, hot water pressure washers with safety cages and tool boxes. 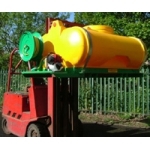 The optional built in water tanks are generally made from polypropylene and are always baffled to prevent disturbance to the vehicle due to the water movement inside the tank. 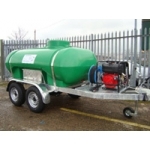 The water tank provides a reservoir or header tank of water so that the high pressure cleaner or steam cleaner can be used on site without the need for a water supply or tap. 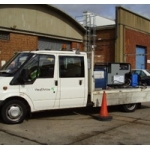 The high pressure machines are driven by a diesel or petrol engine so that no mains electrical power is required. 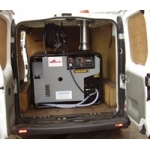 The steam cleaner or washer is totally independent and can then be used on site to provide hot or cold water anywhere at the turn of a key. 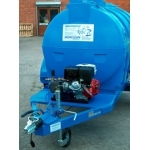 A simple but effective engine driven pressure washer fitted to a 2500 Ltrs water bowser. 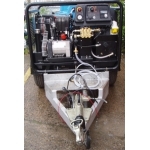 The electric start pressure washer produces 3000psi and features a Honda GX hand start petrol engine. 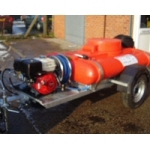 The high capacity water bowser is fitted with a standard road going tow hitch and has a single axle, the pump produces 2200 psi of cold water at 15 Lpm and is a very simple design - providing high performance at a budget.